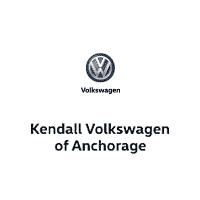 The Finance Center at Kendall Volkswagen of Anchorage has many strong relationships with accredited area lenders and is dedicated to finding you the perfect Anchorage car loan company to suit your car finance needs, from loans to leases to used car financing. We are a family owned and operated business and those family values greatly influence the way we treat each customer with excellent and individualized care. In addition to financing new Volkswagen cars and used cars, we also offer no-obligation car appraisals, trade-in value assistance, and car loan modification. Visit us today and get started on obtaining your approved VW auto loan from Kendall! Our Anchorage Volkswagen dealership is conveniently located a short distance away from Wasilla, Eagle River, and Palmer at 6115 Old Seward Hwy in Anchorage, AK 99518. With a wide selection of new and pre-owned Volkswagen cars to choose from, there is a vehicle perfect for you in our Volkswagen dealership inventory and our inventory of used cars in Anchorage. Take some time to browse then give us a call or contact us online if you have any questions or can’t find the vehicle you’re looking for. Once you find your Volkswagen, check out our online car loan calculator and find out an estimate of your future auto loan payment. Then head on over to our auto finance application and apply for an Anchorage car loan. It’s fast, easy, and convenient! We also provide low-interest car loans for those with existing loans and will help you refinance or adjust the terms of your current contract. In addition, Kendall will buy your used vehicle and give you a fair trade-in value in return. Find out the true market value of your current vehicle and get the opportunity for a no-obligation car appraisal by filling out our simple online trade-in value form. Then you will be provided with enough information to make an informed decision about selling your used car to Kendall or to another party. Thank you for visiting us here at Kendall Volkswagen of Anchorage and for learning about the services we offer in our Volkswagen Finance Center. We look forward to working with you and waving as you drive off in your new VW with a comfortable auto loan in Anchorage or Volkswagen lease.